Thorigné-Fouillard, France, and Shannon, Ireland – Tuesday, 27th February 2018, 08:00 a.m. CET – Kerlink (ALKLK – FR0013156007), a specialist and global leader in solutions dedicated to the Internet of Things (IoT), and Tekelek, a leading developer and manufacturer of telemetry products and solutions for more than 20 years, today announced that Tekelek launched a remote-metering solution with new devices based on Kerlink’s reference design platform and LoRaWANTM connectivity. The platform, which Kerlink added to its suite of services in 2017, is a complete package of hardware, software, development-and-test tools and guidelines to help device makers design and produce IoT network devices with an accelerated time to market. For Tekelek, the No. 1 supplier of ultrasonic tank-monitoring devices in Europe with more than 2.5 million devices in the field, the combination of Kerlink’s reference design and Wirnet Stations, and LoRaWAN IoT connectivity, enabled the company to quickly design and produce remote-monitoring sensors and assure customers they could cost effectively deploy networks for monitoring gas containers. “Kerlink’s reference design dramatically shortened time to market for our new remote-monitoring devices, and significantly reduced Tekelek’s development costs and the number of personnel needed for the project,” said Oliver McCarthy, general manager of Tekelek. Didier Larrieu, vice president of Kerlink’s Advanced Services business unit, noted that Tekelek considered competing options for equipment design and network deployment before choosing to partner with Kerlink. 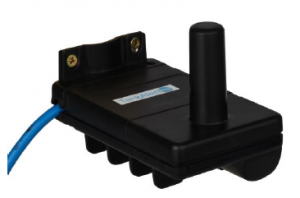 “Tekelek’s ability to convince its customers of the benefits of the LoRa® solution with Kerlink’s reference design – and then to enable them to quickly and simply leverage LoRaWAN connectivity – is a strong use case for companies around the world that want to put the IoT to work for their companies and their customers,” he said. Kerlink will demonstrate its solutions, including its low power IoT reference design, at Mobile World Congress, Feb. 26-March 1, at booth 8.0C11. Ask for a meeting.